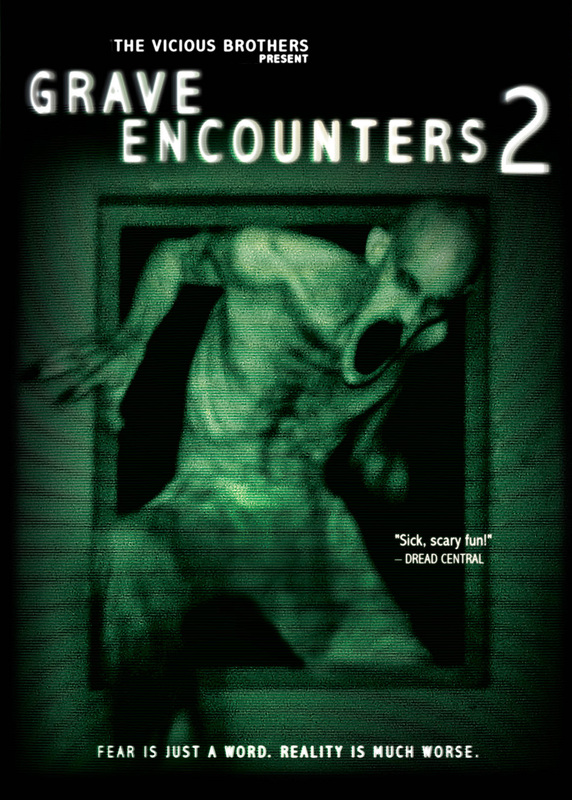 The Haunting in Connecticut 2 (THIC2) is based on the real life story of the Wyrick family and their horrific experience with spirits of previous inhabitants of their new farmhouse. The film centres around the daughter, Heidi, played by Emily Alyn Lind (Enter the Void) who begins seeing Mr Gordy (Grant James, Tombstone), a friendly, if silent, older well-dressed man. Heidi’s parents, Lisa and Andy played by Abigail Spencer (Cowboys & Aliens) and Chad Michael Murray (One Tree Hill) respectively, initially think the Mr. Gordy is an imaginary friend. However, with the help of Lisa’s free-spirited sister, Joyce (Katee Sackhoff, Halloween: Resurrection), it soon becomes clear that he is he spirit of the previous owner in the 1970s. Soon though, Heidi is visited by less benevolent spirits and things come to a head when she discovers a secret cellar. Heidi’s psychic ability was inherited from her mother’s side and through the film we see Lisa’s attempt to cope with her spiritual visions through the use of prescription drugs and Joyce’s more opposing philosophical approach to them. Through a visit from the local pastor and information from Mr. Gordy, we learn that the house and land that the Wyrick’s purchased used to be used as the base of the underground railway used for escaping slaves. The pastor sings the praises of Mr. Gordy’s stationmaster ancestor it is through Heidi and Mr. Gordy we learn a more sinister tale of his taxidermy hobby and how the neighbouring landowners killed him, stuffing him with sawdust (a la stuffing a taxidermy) and hung him from a tree on the land. THIC2 produces some good jumps but never really scares, the set pieces should be impressive (including the woman hanging from threads on the movie poster) but are lack lustre and seem unconnected to the story. 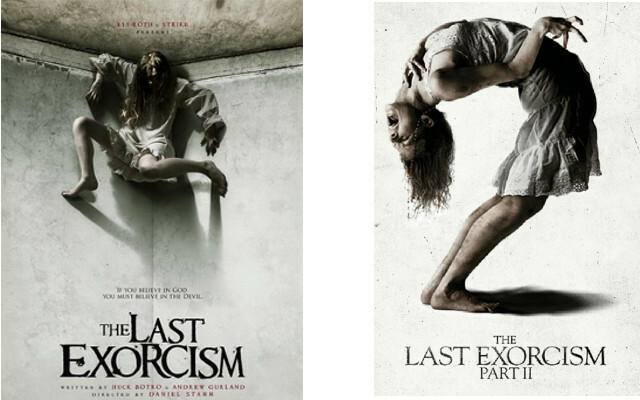 The story seems confused, trying to cram in as many ‘classic’ scary moments including an exorcism (although in the film it is a ‘blessing’, it has all the marks of an exorcism) and the discovery of several skeletons. After reading about the real-life Wyrick family, it also seems to deviate greatly from the reported events so the film doesn’t even have realism going for it. The worst thing about THIC2 is the lack of connection and cohesion with the first film, indeed the film is not even set in Connecticut! THIC2 claims to be a ‘brother film’ of the original but in my opinion it is so far removed, completely different characters, actors and director that it is just a weak unoriginal film cashing in on the moderate success of The Haunting in Connecticut. I wouldn’t really recommend THIC2 to anyone, it does not deliver the promised scares but it not bad enough to be good. Fun (or not so fun) Fact: A second sequel (The Haunting in Connecticut 3 maybe?) has been announced and set in New York (also not Connecticut). Both films follow the unfortunate Lambert family who have inherited the ability to project themselves into an astral plane. On this plane, however, we find that they are not alone and instead it is inhabited by spirits of the dead and other more deadly beings all of whom are looking for a way back into this material world. In the first film it is the son, Dalton, played by Ty Simpkins (Iron Man 3) who is the centre of the problem becoming the object of desire of a Darth Maul-esque demon and falls into a coma that cannot be explained medically. Is parents, Renai and Josh played by Rose Bryne (28 Weeks Later, X-Men: First Class) and Patrick Wilson (The Conjuring, Hard Candy) respectively learn from Josh’s mother, Lorraine (Barbara Hershey, Black Swan, Hannah and her Sisters) that this isn’t the first time this has happened. Indeed, it happened to Josh as a child which is why there are no photos of him in his youth around. In both films there are ‘professional’ mediums, Elise (Lin Shaye, There’s something about Mary), Specs (Leigh Whannell, Saw) and Tucker (Angus Sampson, Summer Coda), the latter two providing some comic relief. In the second film after Elise’s death, Specs and Tucker are joined by Carl (Steve Coulter, The Conjuring), Elise’s previous assistant who contacts her through the use of sever dice. The second film focuses around the father, Josh who after rediscovering his ability brought something back at the end of the first film. It opens in the 1980s with Elise removing Josh’s ability before moving into the present day and Renai being questioned about Elise’s death which occurred at the end of the first film. These flashbacks are a common feature throughout the film in which we learn about the spirit that has been following Josh since he was a boy and is now inhabited him. The idea of astral projection adds a different facet to the usual possession storyline and I thoroughly enjoyed the first film, there was the right amount of jumps and mystery with the soundtrack serving to enhance the mood without over-powering it as can easily happen in such a film. The second film however, whilst still providing its fair share of jumps and scares, is far more confused trying to weave together a new story about the spirit possessing Josh whilst fleshing out the background hinted at in the first film. This leads to a confused and lack lustre film. In the second film the ghosts make-up seem more naïve, lots of white painted faces and even resorting to people in sheets, which considering the much increased budget from the first one, $5 million compared to $1.5 million for the first, you would have thought would be more impressive. The storyline itself in the second one reverts to clichés, killers with mother issues, which really lets the unusual idea of astral projection from the first film down. 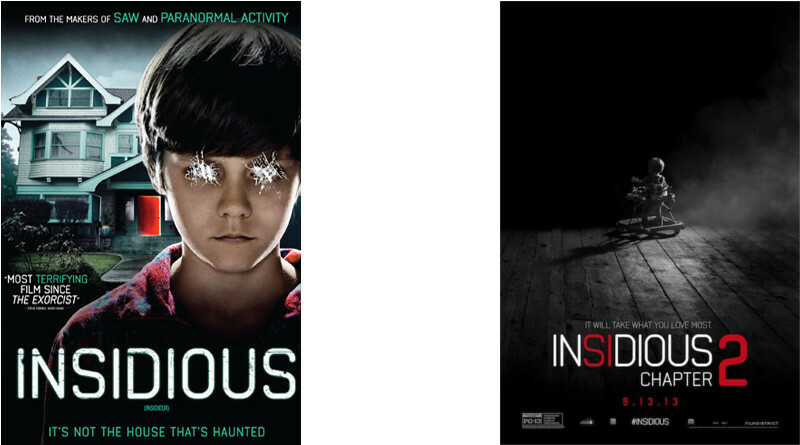 As with many similar films, for example The Conjuring also by director James Wan or the Saw franchise (which Wan directed part III and the upcoming part VII and writer Leigh Whannell wrote parts I, II, III and VIII) Insidious seems destined to be done into the ground with each film becoming increasingly confused and unoriginal, indeed Insidious: Chapter 3 is already in production, I just hope it doesn’t go the same way as the Paranormal Activity or aforementioned Saw franchise and become a parody of itself.